AMWA committed to ensuring women are represented in clinical trials . 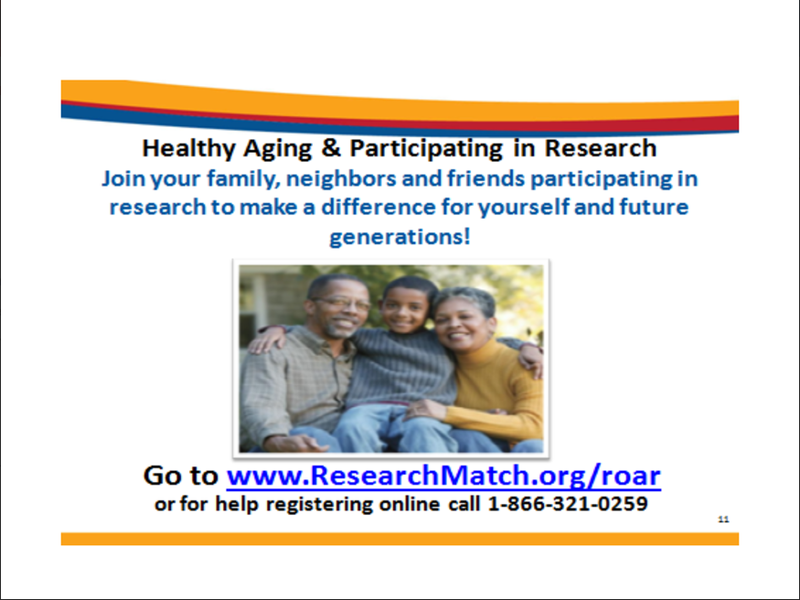 NIA / NIH's initiative to get adults to participate in Research. Check out the website. There continues to be a severe underrepresentation of African Americans, Hispanics, and Asians in clinical trials, trials that aim to test and hone treatments for a variety of health conditions and illnesses. Due to genetic differences between ethnic groups, diverse representation in clinical trials is vital to tailoring healthcare treatments for various demographics. This is becoming increasingly important as the country continues to become more racially and ethnically diverse. The American Medical Women's Diversity and Inclusion Section, is committed to raising awareness about this issue and is in complete support of the partnership between the Pharmaceutical Research and Manufacturers of America (PhRMA), and the National Minority Quality Forum, in their launch of its “I’m In” campaign and website, a patient-centered, community-focused initiative designed to educate the public about the importance of clinical trials and raise awareness about clinical trial opportunities. AMWA and the Chicago AMWA Consortium will work with the organizers of the "I'm In Campaign" and will not only advertise clinical trials recruiting women and minorities on its social media outlets but will also provide resources for its membership to learn more about the latest in clinical trial studies and research. AMWA is a Partner of the National Heart, Lung, and Blood Institute's (NHLBI) The Heart Truth® program. *Note: Your study needs IRB approval for on-line posting. What are your rights once you have made the decision to participate in a clinical trial? As a study participant your safety comes first. So you might ask, how is my safety protected? Before any trial can begin the enrollment process for their study, the study protocol and Informed Consent must go through many approvals. Where does the study get the approval to begin enrollment? The IRB includes medical and non-medical professionals who ensure a clinical trial is ethical and the rights of study participants are protected. What should you do to ensure your safety before you agree to participate in a research study? Be sure you understand the study clearly. Talk to your personal doctor who knows your medical history and will help you decide whether or not to participate in the research study. Your doctor may also know potential risks and benefits of the projected treatment(s). Know what your current health status is. Although you will be presented with the side effects and other health risks associated with the treatment by the research staff, not all risks may be known at the time you decide to participate in the study. Treatment trials test investigational therapies, new medication combinations, and new surgical or radiation therapy methods. Diagnostic trials are performed to find better tests or procedures for detecting and diagnosing a particular disease or condition. Screening trials examine the best way to identify certain diseases or health conditions. Quality of Life trials investigate method to improve the wellbeing and the quality of life for individuals with a chronic illness. During Phase I studies, a study team gives the treatment to a small number of volunteers and examines its action in the body, its safety and its effects at various doses. Phase 1 studies generally last only a few months. If results show that the treatment appears safe, it will be tested in Phase II and Phase III clinical studies. These studies involve larger numbers of people over longer periods of time. In these studies, the study team wants to know whether the treatment is safe and effective and what side effects it may have. After these phases are complete and investigators are satisfied that the treatment is safe and effective, the study team may submit its data to the Food and Drug Administration (FDA) for approval. The FDA reviews the data and decides whether to approve the drug or treatment for use in patients. A Phase IV study is also known as a post marketing surveillance study. Phase IV studies involve safety surveillance and continuing technical support of a drug after it receives permission to be sold. Phase IV studies may be required by regulatory authorities or may be undertaken by the sponsoring company for finding a new market for the drug or other reasons (such as determining interactions with other drugs, or on testing it certain population groups). The safety surveillance is designed to detect any rare or long-term adverse effects over a much larger patient population and longer time period than was possible during the Phase I-III clinical studies. 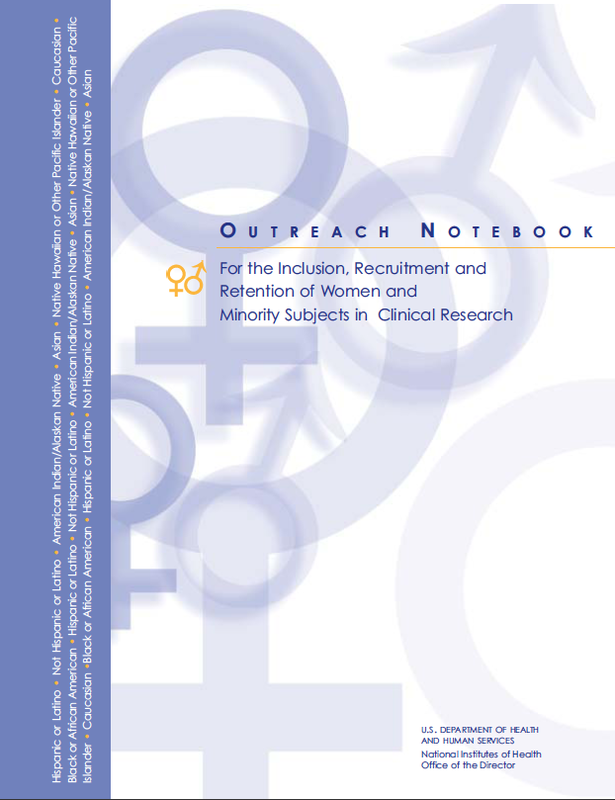 To Learn more about trials that are recruiting and seeking women participants please review the Resources below. Children and Clinical Studies (NIH) offers parents and health care providers an insider's guide to children's medical research. The Web site combines information about how clinical studies in youth are conducted with award-winning video of children, parents, and healthcare providers discussing the rewards and challenges of participating in research. MedlinePlus is an up-to-date authoritative database of medical information which includes a drug encyclopedia, medical dictionary, health directory, videos and tutorials and much more! The A4 Study is a clinical study for older individuals (ages 65-85) who have normal thinking and memory function but who may be at risk for developing Alzheimer's disease (AD) memory loss sometime in the future. The purpose of the Anti-Amyloid Treatment in Asymptomatic Alzheimer’s study (the”A4 study” for short) is to test whether a new investigational treatment can slow the memory loss caused by Alzheimer’s disease. A Multi-Center, Double-Blind, Placebo-Controlled Phase II/III Study to Evaluate the Impact of Nasal Inhaled Insulin in Participants with Mild Memory Impairment and early Alzheimer’s Disease. The purpose of the SNIFF study is to find out whether a type of insulin, when administered as a nasal spray, improves memory in adults with a mild memory impairment or Alzheimer’s disease (AD). The rationale behind the study is growing evidence that insulin carries out multiple functions in the brain and that poor regulation of insulin may contribute to the development of AD.